Jared Kushner, a senior White House aide and the president’s son-in-law, had his security clearance downgraded, preventing him from accessing President Trump’s daily brief, Fox News learned on Wednesday. 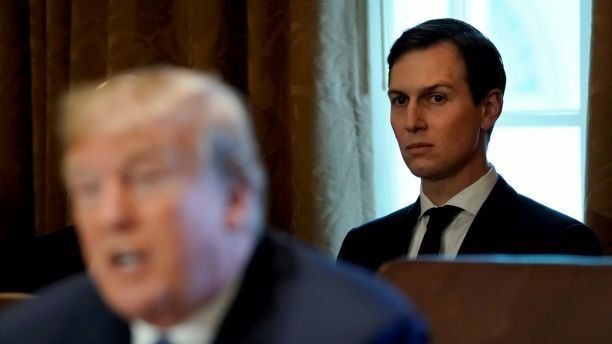 Kushner, Trump’s son-in-law, has also found himself entangled in Special Counsel Robert Mueller’s investigation into Russian meddling in the 2016 election and the Trump campaign’s involvement. From his trips to the Middle East to his leading of a little-known White House innovation group, here’s a look at how Kushner is involved in the Trump administration and Russia probe. Jared Kushner and Ivanka Trump, the president’s daughter, married in 2009. Kushner married Ivanka Trump, the president’s eldest daughter, in October 2009 at the Trump National Golf Club in Bedminster, N.J. 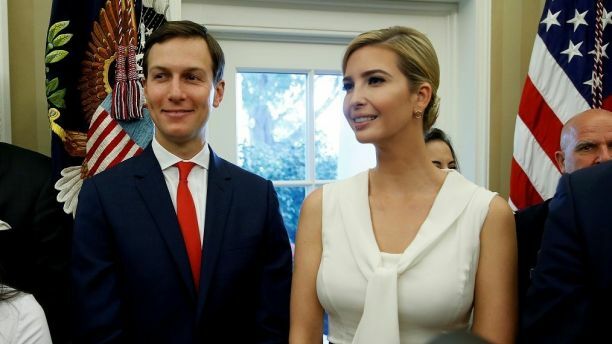 Together, Kushner and Ivanka Trump are estimated to be worth at least $240 million, with their holdings possibly exceeding $740 million, a 2017 financial report from the White House revealed. Kushner was a major contributor to Democratic politicians prior to his father-in-law’s foray into politics. 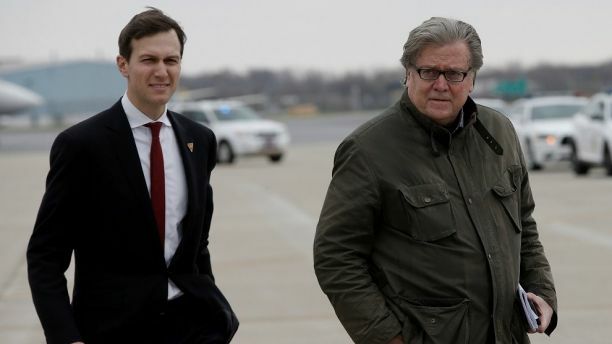 Jared Kushner was a senior adviser on President Trump’s campaign and reportedly worked closely with Steve Bannon, who would briefly become the White House chief strategist. When he was still president-elect, Trump named Kushner a senior adviser to the president. His role, according to a 2017 press release, would require him to “work closely with” Steve Bannon and Reince Preibus, then the White House chief strategist and chief of staff, respectively. Kushner’s role also tasked him with executing Trump’s agenda. “[Kushner] has been incredibly successful, in both business and now politics. He will be an invaluable member of my team as I set and execute an ambitious agenda, putting the American people first,” Trump said then. Kushner was not expected to take a salary, the Washington Post reported. He did, however, receive top security clearance at the time. Kushner’s appointment to such a high-level position in the White House raised questions about the country’s nepotism laws, which prohibit public officials from hiring family members for positions or offices which they oversee. Son-in-law is considered a “relative” by the 1967 federal anti-nepotism law. Trump tapped Kushner to lead his the newly-created Office of American Innovation in March 2017. The office’s aim was to fulfill one of Trump’s campaign promises: to run the federal government more like a business, as it is supposed to make recommendations on how to improve government operations. Aside from government innovation, Kushner has acted as a sort of “shadow secretary of state” in the Trump administration, Politico previously reported. For starters, he was tasked with brokering peace in the Middle East and running point on peace talks between the Israelis and Palestinians. “If you can’t produce peace in the Middle East, nobody can,” Trump said to Kushner an event just prior to his inauguration. In April, Kushner traveled to Iraq with chairman of the Joint Chiefs of Staff Gen. Joe Dunford to witness the situation in Iraq for himself and to show support for Baghdad, White House officials said at the time. He traveled to Saudi Arabia in October, a trip that was not announced beforehand. Kushner has sat down with foreign dignitaries alongside Trump, moderated a discussion on Trump’s remarks on Mexico and met with Japanese Prime Minister Shinzo Abe when he visited Washington, D.C.
Kushner also attended and “helped plan and oversee” Trump’s first foreign trip as president in May, according to the White House. White House senior advisor Jared Kushner and U.S. Deputy National Security Advisor for Strategy Dina Powell walk out to attend a joint statement by U.S. President Donald Trump and Singapore’s Prime Minister Lee Hsien Loong in the Rose Garden. Internally, Kushner has reportedly played a role in administrative efforts — including the removal of certain officials. Along with Vice President Mike Pence, Kushner reportedly supported and pushed for the firing of FBI Director James Comey. Kushner also had a hand in the removal of New Jersey Gov. Chris Christie from Trump’s White House transition team, according to The New York Times. Kushner, too, was the catalyst behind the ousting of former Michigan Rep. Mike Rodgers and lobbyist Matthew Freedman, who had been handling national security for the transition team, the Times reported. White House senior adviser Jared Kushner speaks to the press following his meeting with members of the Senate Intelligence Committee. Kushner held meetings in December 2016 with a Russian financial official as well as the Russian ambassador which are being investigated by the FBI, according to the Washington Post. However, the probe doesn’t necessarily mean that the FBI thinks Kushner has done anything wrong. As the FBI continues its investigation into possible Russian collusion into the 2016 investigation, Kushner’s own dealings and conversations with government officials have been under scrutiny. He attended the controversial meeting with a Russian lawyer that included Donald Trump Jr., the president’s oldest son. Kushner has already met with Senate investigators and contended that he did not have “improper contacts” with Russian officials. 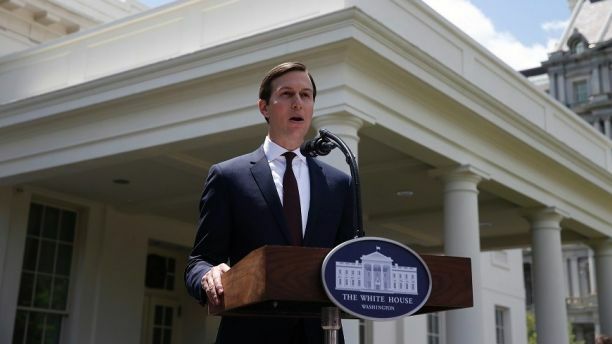 Of the now-infamous meeting – which was set up on the claim that the attorney had damaging information regarding Democratic presidential nominee Hillary Clinton – Kushner said he arrived late. 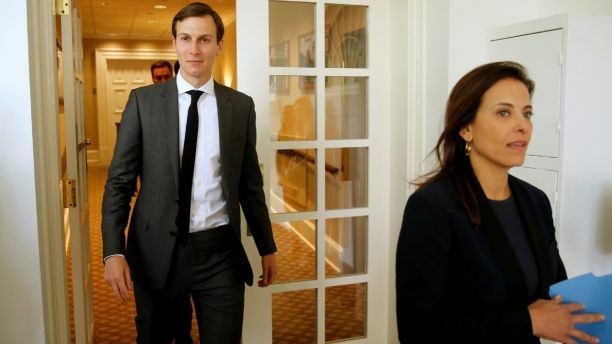 The lawyer, Natalia Veselnitskaya, was talking about the ban on U.S. adoptions of Russian children when Kushner arrived to the meeting, he said. But the top Republican and Democrat on the Senate Judiciary Committee have accused Kushner of not being totally forthcoming with the panel’s probe. White House Senior adviser Jared Kushner sits behind U.S. President Donald Trump during a cabinet meeting at the White House. The White House’s handling of security clearances came under scrutiny this year after it was revealed that former White House staff secretary Rob Porter, who was accused of domestic abuse by his two ex-wives, had worked for more than year with only interim clearance. Kushner was among the dozens of White House staffers who had been working without permanent security clearances for the better part of a year. White House chief of staff John Kelly cracked down on the process this year, setting a Feb. 23 deadline to halt access to top secret information for those whose applications have been pending since June 1 or before. Trump said he would let Kelly decide the fate of Kushner’s security clearance. In a statement, Kushner’s spokesperson said the president’s son-in-law “has done more than what is expected of him” in the security clearance process.